You hear it all the time: “Your lifestyle affects the environment.” But do you ever consider how your death will impact the world after you’re gone? 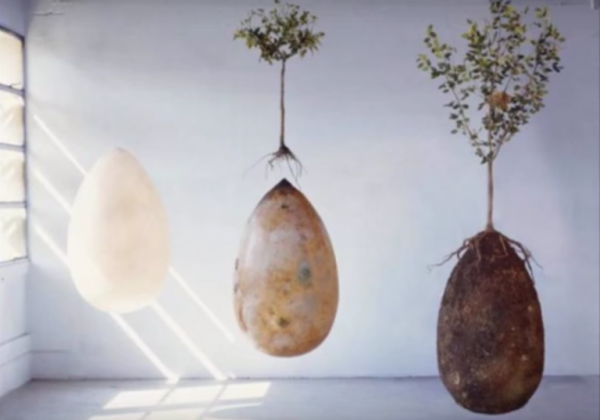 Green burial inside Capsula Mundi burial pods: what sap! Which is all part of a growing recognition that traditional burials aren’t very eco-friendly. Think about it: we fill a corpse with potentially toxic embalming liquid (formaldehyde, a chemical commonly used in embalming fluid, is sometimes classified as a carcinogen), put it in a mahogany box that’s been transported and harvested from the tropics, and allow nothing but grass to grow over the burial site for hundreds of years. Or you opt for cremation, which is arguably worse – burning a body necessitates massive amounts of gas and electricity (about the same amount you would normally use in a month, according to some figures) and releases greenhouse gases and mercury (!) into the air. Yes, if you assumed your late Aunt Bertha could no longer expand her carbon footprint, you’re sadly mistaken – the deceased continue to have an environmental impact beyond the grave. But do not despair, environmentally conscious future-corpses. You’re not doomed to an afterlife of eco-unfriendliness. 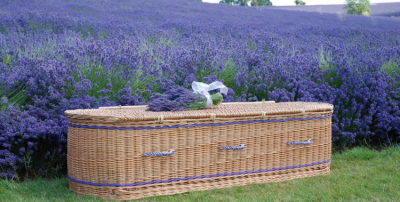 If you’re dead serious about turning your ultimate demise into your ultimate act of kindness, then read on, because we’ve put together a plethora of green burial options and eco-positive posthumous possibilities for you to peruse. “Ashes to ashes, dust to dust,” the saying goes. But what kind of dust? How about millimetre-sized freeze-dried particles? The process of promession, developed in 1997 by biologist Susanne Wiigh-Mäsak, does just that. 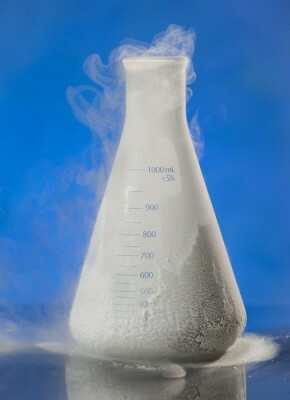 The process is surprisingly gentle: your corpse is frozen at -18° C (0.4° F) and placed in a vat of liquid nitrogen. Slight vibrations break up the body and a vacuum chamber evaporates the liquid, transforming your earthly remains into a dry powder. A bit less traumatic than having your body incinerated, no? Why is this so good for the environment? Unlike cremation, the process doesn’t release harmful gas into the air and helps break the body down more quickly once it’s buried (usually in a corn starch coffin, set in a shallow grave). After 6 to 12 months, the body and its coffin will have completely composted into the soil, creating fertile ground for new life. Aw! If you really want to be cremated, you can still do some good with your dust. Consider resting in a watery grave while helping the rebuilding of coral reefs and the creation of habitats for fast-dwindling marine life. 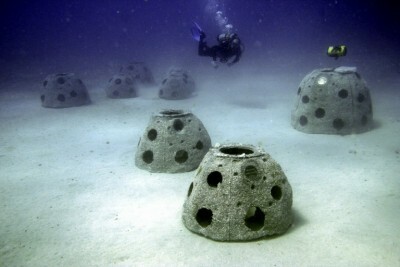 Eternal Reefs will mix your ashes into environmentally safe concrete that will be used to create a Reef Ball, a porous, pod-like structure specifically designed to mimic a natural reef and provide a habitat for microorganisms, animals and plants. An alternative to your more traditional urn, Reef Balls can be adorned with a small plaque and marked with handprints and messages from your loved ones, before being dropped into the sea. Family members and friends can boat out to your final resting place for a memorial ceremony. Gives the term ‘life after death’ a whole new meaning, doesn’t it? Another option if you feel you simply must be cremated? Become a tree. 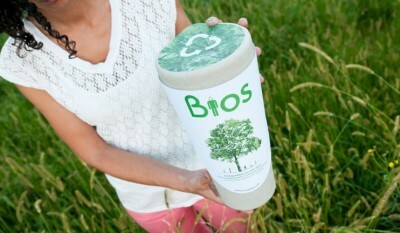 The Bios Urn is essentially a cone that contains soil, your ashes and a tree seed of your choosing. The urn itself is biodegradable, so you just plant the whole shebang in the ground and watch a sapling spring from what used to be your grandfather. It’s a touching way to keep the dearly departed in the family (unless there’s a termite infestation – sorry, grandpa) and helps combat the world’s abysmal deforestation statistics – up to 58 thousand square miles of forest per year. So, what kind of tree do you want to be? The website offers maple, pine, ginkgo, beech and ash seeds, plus the option to contribute your own preferred seed if none of those tickle your branches. When it comes to biodegradable coffins, the ultimate in green burial funeral accessories, you have plenty of choices. Fancy a colourful, personalised cardboard coffin that’s free of metal fixings and made from recycled materials? You got it. Prefer something earthy, pretty and endearingly similar to a picnic hamper, like a wicker coffin? No problem. How about a coffin made out of cotton and banana leaves? Done. Unlike mahogany coffins, biodegradable coffins are usually built locally and aren’t treated or covered in lacquer. That cuts down on emissions used to transport the coffins and the time it takes for the coffin to disintegrate once in the ground. Even better news? Biodegradable coffins tend to be cheaper than their more traditional tropical hardwood counterparts. With funerals typically costing around £3,700 (around $5,277) in the UK and over $7,000 (£4,909) in the US, your surviving family members will definitely thank you. Sure, formaldehyde is great for preserving your flesh (or shark flesh if you’re Damian Hirst) so that you look your best at your funeral, but this popular embalming ingredient is also a toxic chemical and – surprisingly enough – is therefore rife with problems. It’s linked to cancer and has also recently been linked to ALS (a neurodegenerative disease), putting embalmers at risk. And although there haven’t been any conclusive studies measuring the environmental impact of embalming liquid (and, in all fairness, the compound typically breaks down quickly in the soil), some people have argued that the liquid could somehow make its way into our drinking water. 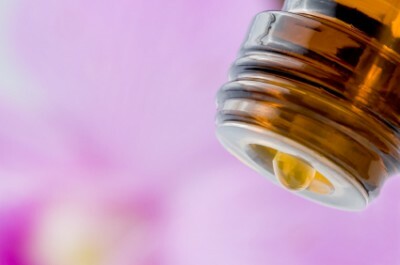 Instead of risking the life of your future funeral director, or the plant and animal life that will live in and around your grave, why not get yourself embalmed with non-toxic essential oils? Biodegradable embalming alternatives still disinfect, deodorize and preserve – though perhaps not for as long. Still, the sooner your body starts helping nourish new life in the soil the better, right? Woodland burials, also known as natural or green burials, have surged in popularity over the past few years. And why wouldn’t they? Traditional cemeteries are sad and macabre, not to mention covered in herbicides and manicured regularly with petrol lawnmowers. Instead, why not let local plant and animal life flourish around your former earthly vessel? Sounds like a much cheerier way to spend the afterlife. A word to the wise: natural burial grounds can vary widely. Some are very strict about what you can put in the ground – no embalmed bodies, no stone memorials, no non-biodegradable coffins – while others are less stringent. Some plant a tree over the grave, while others place a wooden plaque (or both). Some are commercial enterprises, while others are non-profit charities. 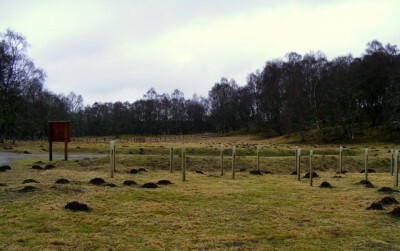 Though they’re called ‘woodland burials,’ you can find natural burial sites in fields, meadows, woodlands and parks. Some are even adjacent to more traditional cemeteries. Whatever you like, really. But whatever you choose, you’re helping to preserve a green space by using it as your final resting place – after all, no-one wants to build condos over a burial ground. These types of burials are also usually cheaper than buying a plot in a traditional graveyard. Again, your descendants will thank you. Have you ever dreamed of helping to find a cure for cancer? Well, that dream doesn’t need to die just because you did. 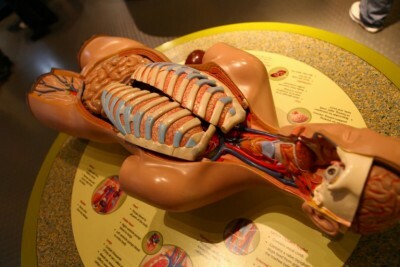 If you donate your body to medical science, you’ll help train future doctors or help scientists perform biomedical research. If you’re nervous about how young doctors will treat your former vessel, never fear – when it comes to human dissection, medicinal ethics generally dictate that medical students must treat your body with dignity. Well, as much dignity as you can grant a body while you’re slicing it open and peeking at its insides. But be warned – if you’re an organ donor and one or more of your organs are removed post-mortem, most medical schools won’t take your cadaver (yep, that’s your corpse). This is an all-or-nothing sort of deal. This option isn’t available yet, but it might be by the time you meet your maker. 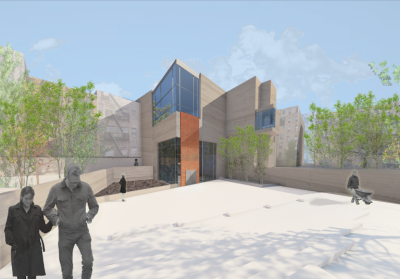 Architect Katrina Spade’s Urban Death Project is essentially a dignified way to turn your remains into nutritive compost as quickly as possible. Spade envisions a three-storey composting column, primed with high-carbon materials and microbes, surrounded by a wide winding ramp. Your family personally wraps your body in a shroud and walks it up to the top of the column, where they say goodbye. Then you’re gently placed in the composting facility, and before you know it, boom – you’re soil. Of course, you can’t have your body embalmed – quick decomposition is kind of the point here – but the project will happily refrigerate your physical form until the ceremony takes place. If that sounds like your kind of thing, you can even donate to the Urban Death Project.